The following are scanned images from the pictures my dad took on our 1969 vacation. 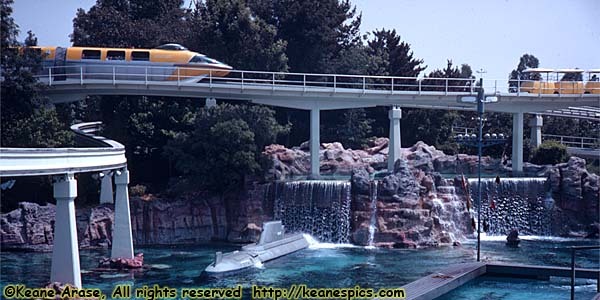 The most interesting pics are the last two, that shows the monorail heading toward the Disneyland Hotel. It looks *nothing* like it does today. Well, okay, most of the pictures look nothing like Disneyland does today. 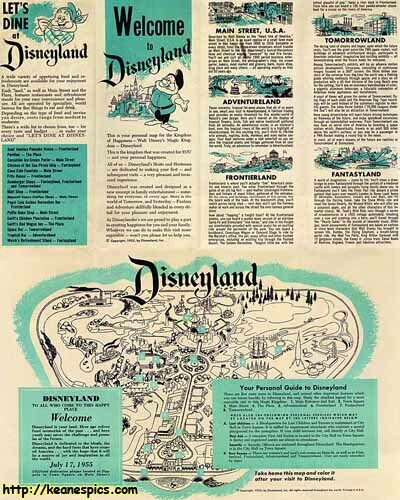 Reprint of Disneyland's 1955 map given as part of the 50th anniversary event. Click on it to get a larger image. (1250px x 1600px, 544K.) Map © Copyright, 1955, by Disneyland, Inc.